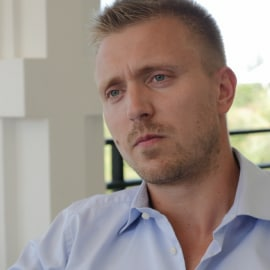 Andris Kaneps is the Founder and Director of Watu Credit, a fast-growing non-banking, finance company headquartered in Mombasa. Andris has more than 8 years’ trading experience in financial markets and is an avid investor in early fintech startups. Prior to founding Watu Credit, Andris was the founding partner of MTG Group, a Cayman based fund and asset management company. Andris is a lawyer by profession, having worked with Liepa, Skopina/Borenius in Latvia. He holds a Master's Degree in Law from the University of Latvia.